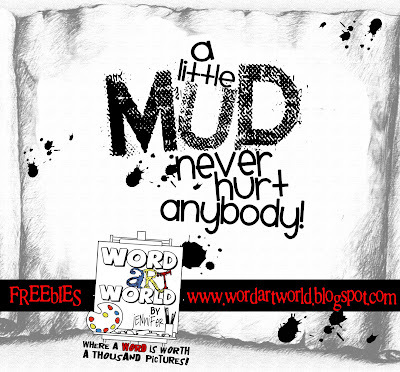 Word Art World: a little mud never hurt anybody! a little mud never hurt anybody! Wow! Thank you so much! I just stumbled upon your blog and will definitely be back often! Thanks for the great freebies!